Nissan is the fifth biggest automobile manufacturer in the world. It is one of the leading car manufacturers in the world as well. Having plants in 20 countries on all five continents, the company sells three million cars every year almost in 170 countries. Everything began in 1914 with the production of a car DAT, 20 years before the company was called Nissan. The name DAT was got from the initial letters of names of three founders of the company, all together they meant “prompt, vivid” in Japanese. Then this name was transformed into Datsun (the son of DAT). Nissan was established in 1933 by concerted efforts of two companies – “Nihon Sanyo” and “Tobata Casting,” which planned to manufacture and sell the cars “Datsun.” Originally the company was called “Jidosha Seizo Co., Ltd” and was renamed in Nissan in June 1934 (“Ni” from “Nihon” – Japan, “ssan” from “sangio,” which means industry). Then, the logo was mentioned. Thus, the red circle became the first distinguishing sign of the brand; it was with the blue rectangle inside the company’s name in the middle. These colors (red and blue) embodied the sun and the sky. The Japanese do not betray their style and remain enigmatic and mysterious, but the emblem turned out fairly simple. 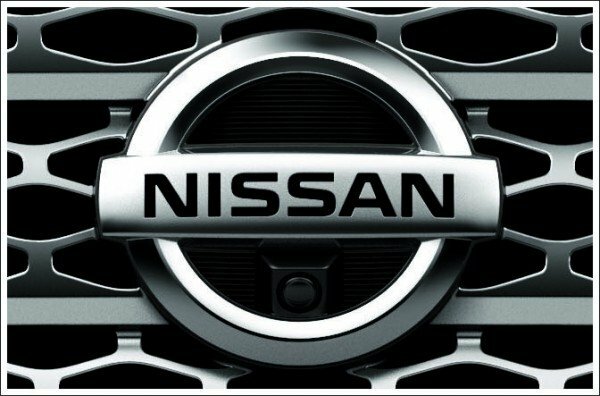 The Nissan logo is a symbol of the rising sun. In 1950, Nissan started development and motor vehicle manufacturing for the foreign markets. This business developed rapidly: in 1960, Nissan Motor Corporation was created in the USA, in 1966, the first car factory Nissan outside Japan started its work in Mexico, and in 1980, plants in Europe and the US were opened. However, for sales in West, the name of “Datsun” was used until the end of 1982, when it was replaced by Nissan. In favor of the brand the Japanese company refused traditional colors and registered its logo in a spirit of modernity. Now chrome color is present on the logo. 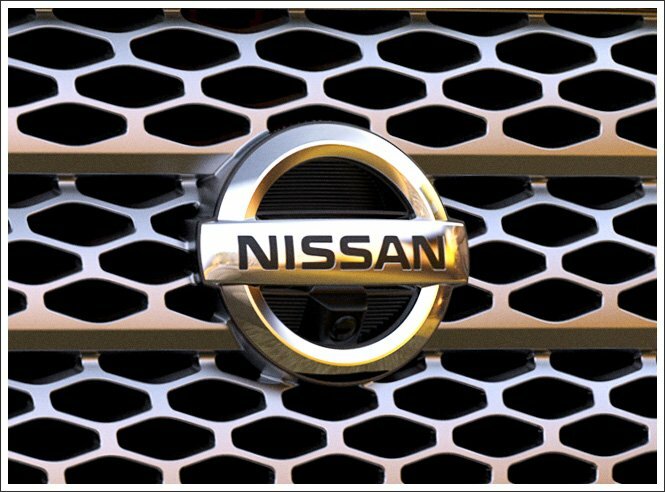 The chrome-colored motive of the Nissan logo signifies sophistication, modernism, creativity, and excellence of the brand’s products. Today, Nissan Emblem belongs to the second biggest Japanese carmaker and one of the leaders in the world car production, having a lot of units and subsidiaries besides its Japanese plants all over the world: in the US, in Europe, Australia, South America, Asia – in 17 countries in total. The Nissan Company does not cease to surprise the admirers and the competitors and fairly frequently actively updates its news. Just recently the company has introduced a new hatchback model under the name Tiida. Actually, the novelty from the С class represents a modification of the sedan Nissan Sentra with five doors. The design of the hatchback Tiida is almost not distinguished from European Pulsar. In addition, Nissan showed a prototype of compact hatchback future under the name of Sway. The Japanese manufacturer says, its design is specially created for the satisfaction of European tastes. The car is painted in bluish-dark-gray color and is borrowing style solutions from Juke and Qashqai, but has more radical forms suitable for the concept. Moreover, the company plans to produce ecologically clean cars by 2020 and reduce the level of harmful emissions to the environment in cars across the brand’s line. It will allow, inter alia, to reduce medium fuel consumption by approximately 19%. Also, in the nearest future, according to some data, it is planned to update the electric car Leaf and to launch an electric version of the compact van NV200. If you examine the Nissan GTR logo, you will certainly notice that it in no way resembles the car’s manufacturer badge. This is an absolutely independent symbol, created especially for this handbuilt 2-door 2+2 high-performance vehicle. The “G” and “T” letters on the top are silver, while the larger “R” letter, which is located under them is red. The minimalistic, yet aggressive and recognizable, the Nissan Z logo suits the car perfectly. The Z range includes sports cars known for much better performance than other vehicles produced by the Japanese car manufacturer. The first Nissan Z was launched back in 1969. Forty years later, in 2009, the company created a completely new version called the Nissan 370Z. The Nissan Skyline logo consists of the word “Skyline” in a custom sans-serif font. It uses only capital letters. Interestingly enough, the Skyline sedan launched in 2014 has the Infinity emblem at front grille. It is absolutely reasonable, taking into consideration that the 2014 Skyline sedan actually uses the design of the Infiniti Q50 sedan.